Australia's second biggest city is surrounded by incredible scenery and some of the country's most iconic natural landmarks. It can be difficult to choose which direction you want to drive when you head out of the city, with places like the Yarra Valley, Great Ocean Road and Mornington Peninsula all within easy reach. Here are a few of VroomVroomVroom's favourite road trips from Melbourne. The most famous driving route in Australia is just outside of Melbourne. Follow the winding coastline to enjoy impressive ocean views and charming towns. Leave Melbourne on the West Gate Freeway before merging onto the Princes Freeway, passing by Geelong. 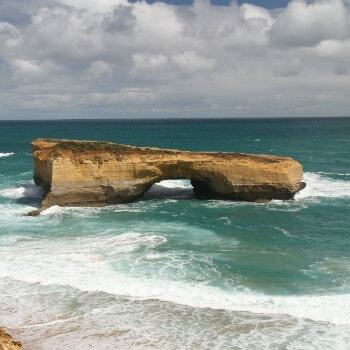 The Twelve Apostles: This famous collection of limestone rock formations just off the coast in Port Campbell National Park is one of the Great Ocean Road's most popular stops. Bells Beach: Located near Torquay, Bells Beach is one of the top surf beaches in the country. The beach often plays host to international surfing events. Lorne: This delightful seaside town has a thriving arts community, and a beautiful local beach. Phillip Island is a popular spot for spotting wildlife such as penguins, seals, koalas and many native Australian birds. That is just the start of what is on offer on the island, with kilometres of exciting coastline to explore. Follow the Monash Freeway south of Melbourne, and take the Bass Highway to reach Philip Island. Get up close to the local penguins: Summerland Beach gives visitors an opportunity to meet some of the thousands of penguins that live on Phillip Island. Learn about Australia's history: Phillip Island is home to the Phillip Island Historical Society Museum where visitors can learn about the settlement of the region, and see examples of historic architecture. Follow The Nobbies boardwalk: From this scenic boardwalk you can enjoy marvellous ocean views, and even spot a colony of seals offshore. 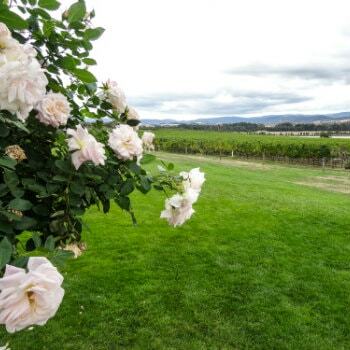 Along the scenic roads of the Yarra Valley and Dandenong Ranges​, travellers will stumble across beautiful gardens, top wineries and fantastic local cafes. Leave Melbourne on the Monash Freeway before turning off onto Ferntree Gully Road and making your way through the Dandenong Ranges. Visit beautiful gardens: While exploring the Dandenong Ranges, visit some of the scenic gardens along the way. Climb the trees: Enjoy zip-lining through the treetops and following exciting adventure trails through the trees. Stop in at a winery: The Yarra Valley is home to a number of popular wineries, so why not stop in and sample some of Victoria's best wine? Head inland and discover the interesting history of the gold rush in Australia. Ballarat features many historic Victorian buildings and heritage trails illustrating the region's rich history. Follow the West Gate Freeway and exit onto the Western Ring Road. The Western Freeway will lead to Ballarat. Sovereign Hill: This living museum gives visitors a window into what life was like during the gold rush in Ballarat. With actors in full costume, and examples of historic buildings, Sovereign Hill is a memorable experience. Bendigo: Travel past Ballarat and visit Bendigo, another town with interesting historical architecture. The town's art gallery is definitely worth a visit. Her Majesty's Theatre: Visit Her Majesty's Theatre, one of the oldest theatres of its kind in Australia. 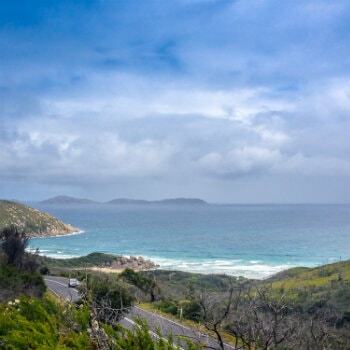 Known locally as "The Prom", Wilson's Promontory is one of the most popular national parks in the region. Head south on the Monash Freeway, and exit to meet the South Gippsland Highway, headed toward Wilson's Promontory. Go diving: There is plenty of incredible scenery below the surface of the ocean in Wilson's Promontory Marine National Park. Squeaky Beach: The inviting white sands of Squeaky Beach are perfect for a relaxing stroll alongside the water. Enjoy hiking: Explore some of the scenic hiking trails scattered across the peninsula. Surrounded by the Gippsland Lakes, the town of Lake's Entrance has become a popular holiday destination. Don't miss the chance to walk on the sands of Ninety Mile Beach. The Monash and Princes Highways will lead travellers south-east from Melbourne toward Lake's Entrance. 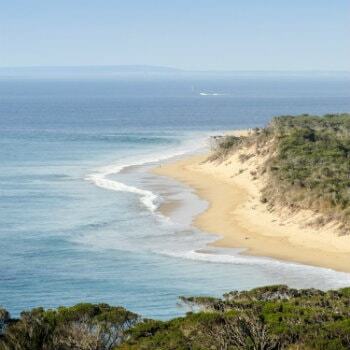 Gippsland Lakes: The Gippsland Lakes are Australia's largest collection of waterways, and there is plenty to see and do. Take a guided boat tour and discover the unique wildlife in the region. Ninety Mile Beach: Discover the beautiful Ninety Mile Beach, which is often uncrowded and perfect for taking a long walk. Try some seafood: Lake's Entrance features many great dining options. Try some of the delicious seafood at one of the local restaurants in the region. The Mornington Peninsula has everything you could want for your holiday, with beaches, seaside towns, and plenty of family activities. Take the Monash Freeway to merge onto Eastlink and head south toward the Mornington Peninsula. Find your way through a maze: Take the kids to the Ashcombe or Boneo Maze and start exploring. Visit an artist's studio: The Mornington Peninsula region is home to many fantastic artists, so be sure to stop in and visit some of their studios. Try snorkelling: With plenty of marine wildlife, the Mornington Peninsula is the perfect place to enjoy snorkelling off the coast. With 22 ski lifts, it is easy to get to the top of Mount Buller and enjoy the magnificent views from the top of Victoria. There are plenty of activities on offer in this popular ski resort. Take the Eastern Freeway from Melbourne before turning onto the Maroondah Highway, headed north. Hike: If skiing is not for you, try exploring some of the region's beautiful hiking trails and enjoy the alpine scenery. The Mt Buller Sculpture Park Walk is particularly interesting. Try skiing: Mt Buller has slopes to suit people of all abilities. The ski resorts at Falls Creek are also quite popular. Bright: Stop in at the town of Bright. If you are visiting during autumn, you will have the opportunity to get some great pictures of the changing colours. 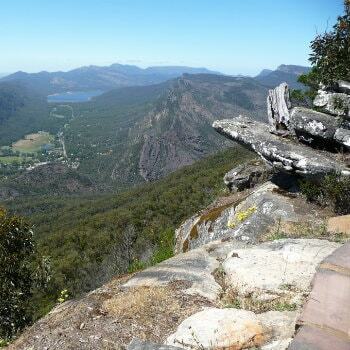 The Grampians is the perfect place to spend the day exploring scenic hiking trails. With fantastic lookouts and beautiful waterfalls, see what you can discover in the national park. Take the Western Freeway from Melbourne. Follow Ararat Halls Gap Road into the Grampians National Park. Brambuk: Visit the national park's Cultural Centre to discover more about the natural features of the Grampians. See waterfalls: The Grampians is home to many beautiful waterfalls such as MacKenzie Falls and Silverband Falls. Scenic lookouts: Follow some of the Grampian's best hiking trails to get a birds-eye view of the park. Just outside of Melbourne, head to the peak of Mt Macedon and enjoy incredible views. The area is also home to a number of spectacular gardens and houses. Follow the Citylink road north and merge onto the Calder Freeway, northbound toward Mt Macedon. Camel's Hump: Take the hiking trail to Camel's Hump, the highest point in the region which offers fantastic views. Visit the local gardens: Mount Macedon features many impressive gardens, which are sometimes open to the public for visits. The Macedon Regional Park is also worthwhile exploring, with plenty of native plants. Stop in at a local cafe: The food at Mount Macedon is popular with visitors across Victoria. Enjoy a bite to eat at one of the local restaurants and cafes.